The Park Royal Los Cabos luxury resort is located at the southern tip of the Baja Peninsula amid remarkable natural landscapes and traditional Mexican towns. Surrounded by 12 championship golf courses and gorgeous beaches, it is the ideal place to own a Los Cabos timeshare. Los Cabos is the favorite vacation spot for the rich and famous, and there are any number of celebrities visiting the area year-round. 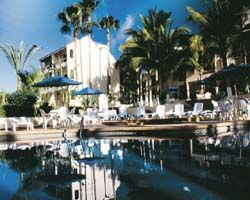 When you find a Los Cabos timeshare for sale at Park Royal, you have the golden opportunity to have an affordable vacation every year in this extraordinary place. With a Park Royal Los Cabos timeshare, you can select from several suites including suites that sleep up to four adults. 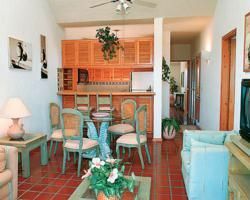 You will have either a full kitchen or kitchenette, cable TV, air conditioning and all the amenities you would expect in a top resort. The resort offers a swimming pool, a deck-side restaurant and room service and the staff will help you arrange your local activities. When you own a timeshare in this sought-after location, you also have the advantage of great exchange power if you want to trade your timeshare for another vacation destination in a different location. External exchange companies such as RCI, II and DAE can provide you with exchanges and open a world of possibilities. The Los Cabos area offers a wide selection of water sports that included some of the best deep-sea fishing in the world, and the chance to swim with dolphins in the open ocean. The annual whale watching is always rewarding, while the inland desert is famous for its unusual rock formations and hidden waterfalls and swimming holes. There are two towns near the Park Royal Los Cabos resort including San Jose del Cabo, and upscale town with art galleries, nightclubs and more. Not far away is Cabo San Lucas, offering a Mexican resort atmosphere with excellent restaurants and local handicrafts. Contact Park Royal Los Cabos Specialist Today!